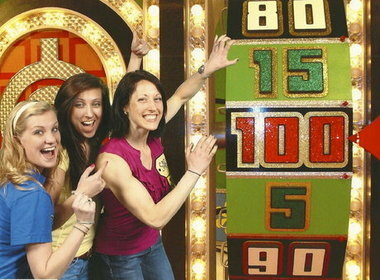 Some exposure for the brand today on ‘The Price is Right’. This game show dating back to 1972 (or 1956 in its first incarnation) finally yielded a truly remarkable prize: A brand new Saab 9-3. I wrote about Saab Billboards last week and in that post, I asked if someone could take a picture of the billboard at Landvetter airport, just outside Gothenburg. I have a penchant for good advertising from any source – but Saab in particular, of course – and I just loved this billboard when I saw it straight after the Geneva Motor Show. I didn’t have my camera ready at the time, but thankfully Johan R was heading that way this weekend and stopped for a couple of shots. The billboard features the Saab 9-3 Independence Edition Convertible. And a big, beautiful butterfly. It’s double-sided, hence the white flap to the left side (which is the butterfly wing for motorists coming the other way). Back in January, Saab Cars North America launched a new marketing campaign called “The Story of Saab”. The campaign also included a number of print ads, which Saab shared on their Facebook page. We shared them here on Saabs United too, as they became available. They’ve been used in magazines and newspapers since then, with other ads appearing on billboards in major cities. They’re now moving on to the next step. Here’s what they said back in January…..
Online/social-media will be an important part of this campaign. Saab will preview the television commercial January 30th on its Facebook page. In addition, Facebook followers will be asked to write ads for the company, one or more of which will be used in future online advertising. ROYAL OAK, Mich., March 10, 2011 /PRNewswire/ — Saab Cars North America has debuted a social media effort within Facebook designed to tap into the passion and enthusiasm that Saab fans and owners, present and past, feel for the brand. Through Saab’s Facebook page, fans can write and star in their own Saab web banners using a template that mirrors the look and feel of “The Story of Saab” online and print creative, post to their Facebook wall and share with friends. Saab will choose a selection of the consumer-generated banners to run on an array of websites that could include AOL, MSN, the websites of The New York Times and Wired, among others, in late March. The first of its kind social media program is an extension of “The Story of Saab,” a multi-media, multi-faceted national advertising campaign, which debuted in the U.S. in late January. “Saab has an incredibly loyal owner and fan base. Over the past year we have heard from fans all over the world and they are so passionate about the cars they love. Who better to tell the Story of Saab than the people who make it what it is,” said Nicole Jankowski, Saab Cars North America’s Marketing Communications Manager. Purchased by entrepreneur Victor Muller, CEO Spyker Cars N.V. in 2010, Saab is working to regain its place as an independent and viable automaker in the minds of potential consumers in the U.S.
“The Story of Saab” was created by McCann Worldgroup Detroit’s Team Saab for the U.S. market. Team Saab also has the responsibility of creating the global launch campaign for the company’s next product, the 9-4X. Team Saab also partnered with iWerk, a Royal Oak, Michigan based software development company, to create the Facebook technology. Willing entrants to the competition will need to enter it through Saab’s Facebook page. It’ll be open to US residents only, so all you budding European or Asian designers will have to sit back and watch this time. I made some ungracious remarks about some aspects of this competition that annoyed me. I’ve since had an opportunity to bring these issues up directly with the McCann team and consequently, feel it’s inappropriate to keep them on site. I hope that as many of you US-based Saab nuts enter the competition as possible. It’d be great to see an SU reader with some of their work posted to the online masthead of the New York Times. I received a few emails from Saab fans pointing out some Saab advertising seen on the streets over the last week. These two billboards were spotted by ‘Mean Sabien’ on a recent early spring break trip to NYC from his home in Montreal. One was seen on the road on the way there, the other just after taking in a show in Broadway. This ad was spotted yesterday by ‘WashAero’ not far from the diplomatic community in Washington DC. It’s a bus stop ad, and very clever. Thanks for sending them in, folks. Thanks to Pat H in comments. This video takes you behind the scenes for the Saab photoshoot for Glamour magazine, which we featured here last week. This ad emphasises Saab’s status; offering the highest powered, zero road tax car in Great Britain in the Saab 9-3 TTiD. The phone is included in the shot for scale…. Because of it’s sub-120g/km CO2 output, drivers avoid having to pay annual road tax on a 9-3 TTiD and it’s probably one the largest and definitely the highest output vehicle to achieve this status in the British market. I know I’ve cast some small doubts on Saab GB here and there over the years. But I have to say that in my experience, they’ve always done a great job of making sure their website co-ordinates with their marketing promotions. The landing pages are always well designed and graphically engaging. It’s good to see that again in this instance and I wish them every success. This is great to see. We talked about billboard advertising at length a few months ago and subsequent to that, we heard it might form part of Saab Cars NA’s advertising blitz this year. Finally, the proof. The text reads: For left lane drivers, and right brain thinkers. From Charron, who snapped the pic….. I spotted this all new 9-5 billboard on the north bound 405 freeway near the South Bay curve (between the Hawthorne and Inglewood Avenue exits) just 5 minutes from LAX. This is an ideal location as every work day morning this freeway crawls bumper-to-bumper between 6:30am and 10am. If this billboard remains for at least a month, it will be seen by more viewers than those who watch today’s ‘Super Bowl’ and for a fraction of the cost. The sign is well positioned and easily visible to those transiting the city, daily commuters, and everyone in between. I was so proud of Saab when I saw this sign. Again, it’s great to see more action on Saab’s advertising. I know they’re working from a shoestring budget, so it’s great to see them placing the cars in front of so many faces.